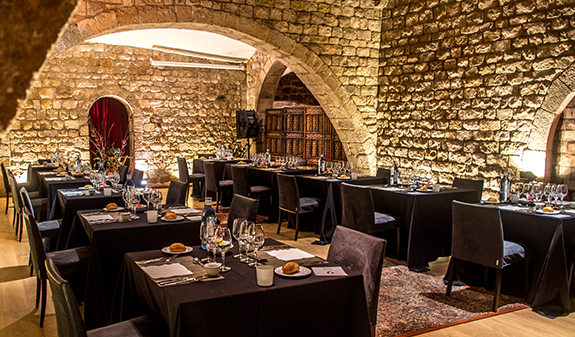 Come and find out about the history of Barcelona's largest Gothic palace and sample a menu inspired by medieval Catalan cuisine while being amazed by entertainment that immerses you in the Middle Ages. 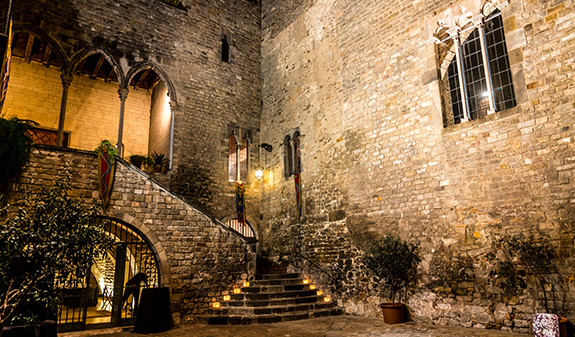 You can do all this at the medieval dinners at the Palau Requesens. 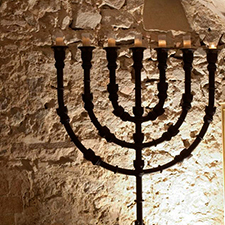 The Gothic Quarter hides many secrets, even from the locals. Many of them are unaware that on the threshold of the old city walls there is one of the most outstanding private palaces in Barcelona: the Palau Requesens, the current home of the Reial Acadèmia de les Bones Lletres. 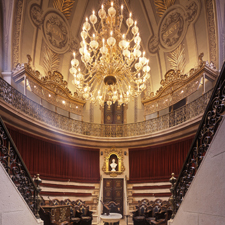 On Friday and Saturday evenings the palace becomes the gateway to medieval Barcelona. Are you ready to travel back in time? If so, you'll love starting off your evening with a guided tour of the building where Isabel de Requesens lived and enjoy the views from the terrace. 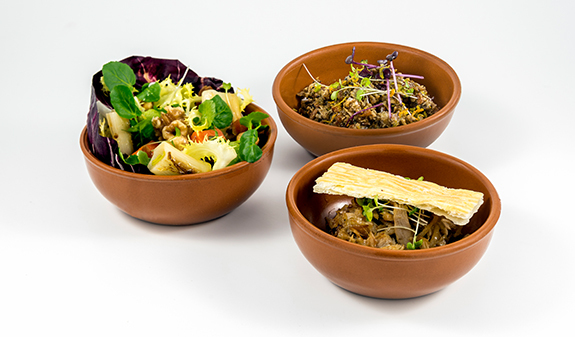 Next you'll sample a menu inspired by 14th- and 15th-century Catalan cooking: a rich, refined cuisine which included a surprising array of sauces and was considered the first in the Christian world. 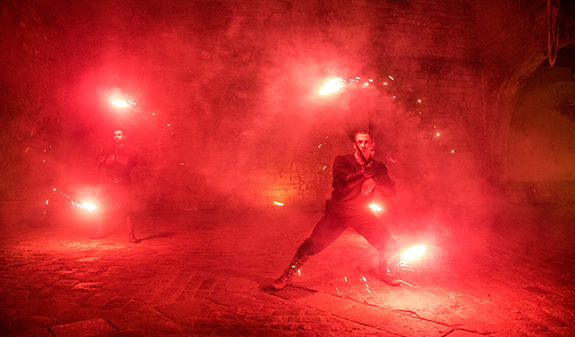 Dinner will be served in the Saló Tinellet and afterwards you'll be able to enjoy the recreation of a medieval swordfight, Arabian dances and juggling. 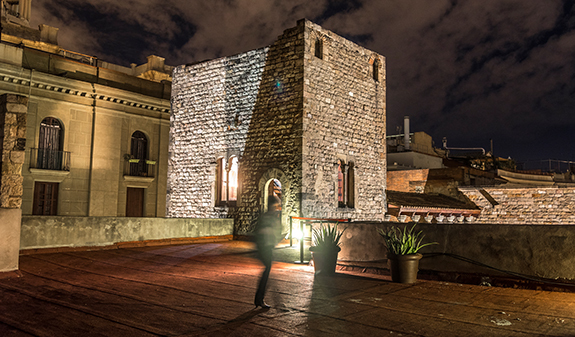 Guided tour of the Palau Requesens, the terrace and the tower. Medieval entertainment(arabian dances and juggling). Times: Friday and Saturday, at 7.30pm. Language: English, Catalan, Spanish, French, German, Russian and Chinese. Option visit and dinner: 4h. Meeting point: Palau Requesens, home of the Reial Acadèmia de les Bones Lletres (C/ Bisbe Caçador, no. 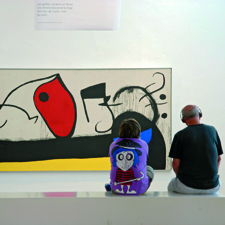 3, just off the Plaça Sant Just). 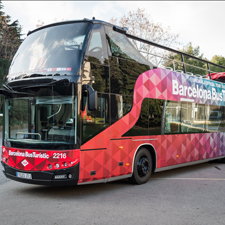 Metro L3 Liceu, L4 Jaume I, Bus 17 and 45. If you wish to choose the vegetarian or children's menu or have any food allergies please contact info@barcelonaturisme.cat or phone 932 853 832 beforehand. Partially accessible for disabled visitors.If you wish to visit the other rooms inside the palace, you have to climb steps that are not adapted.